Another week has gone by, and now it’s finally starting to feel like fall here in California. I know that I’m spoiled living in the Golden State, so I won’t complain too much, but I always get so upset when I have to put away the shorts and bring out the sweaters. Autumn and I don’t get along very well. 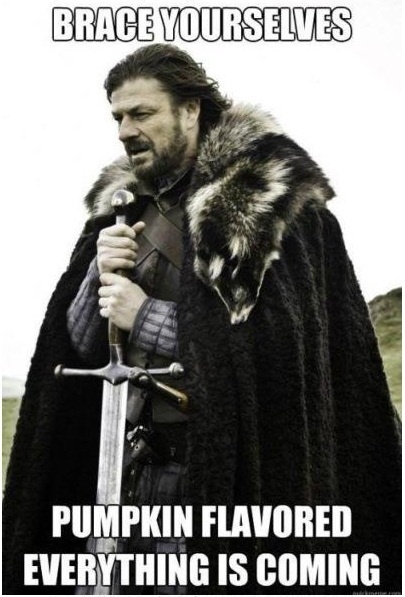 Even though it doesn’t snow where I live, I absolutely loathe being cold. Especially when I have to get out of my cozy, warm bed! I hate layering clothes, dealing with dry skin, and smelling or tasting anything pumpkin-flavored. You can keep your stupid lattes, Starbucks! Thus, I’m trying to remind myself of what I do enjoy about this time of year: drinking hot cocoa, dressing up for Halloween parties, eating so much delicious food at Thanksgiving and Christmas, and having extra time to spend with family and friends during the holidays. Romeo and Juliet, Oct. 11 – Ed Westwick as Tybalt? I am so there! Kill Your Darlings, Oct. 18 – Daniel Radcliffe plays Beat poet Allen Ginsberg–yet another British actor who pulls off an American accent! Ender’s Game, Nov. 1 – Despite all the controversy surrounding author Orson Scott Card’s homophobia, I hope this movie is just as great as the book. The Book Thief, Nov. 8 – Didn’t read this bestseller, but so many readers are looking forward to seeing this WWII tale on screen. Great Expectations, Nov. 8 – If anyone could get me to enjoy this story, it’s Helena Bonham Carter as Miss Havisham. The Hunger Games: Catching Fire, Nov. 22 – You already know about how I feel about the end of this trilogy, and now we’re just one movie closer to it. Sigh. The Hobbit: The Desolation of Smaug, Dec.13 – People may wonder why another trilogy was warranted for this book, but I’m just ecstatic for even more time in Middle Earth! What else is going on this fall? 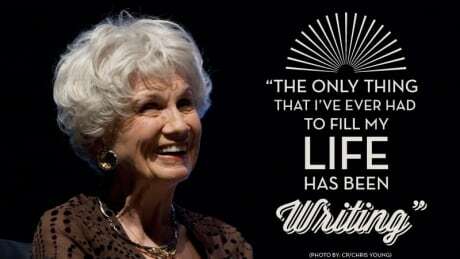 Well, by now you’ve probably heard that Canadian short story writer Alice Munro won the Nobel Prize in Literature! As an 82-year-old who was first published at 37, she’s an inspiration to writers everywhere! And I’d say she’s lived a pretty full life so far! Congrats! I would love to read more of her work in the future (Alison over at Hardcovers and Heroines found a great list of short stories of Munro’s which you can read for free! ), and I highly recommend “How I Met My Husband,” which is part of her collection Something I’ve Been Meaning to Tell You. And speaking of reading (which is pretty much all I speak of on this blog! ), The Huffington Post conducted a survey of 1,000 American adults and found that 41% had not read a single book of fiction this past year! How utterly sad! To combat this, HuffPo released a list yesterday of some of the benefits of reading: it decreases stress, keeps your brain sharp, helps you sleep, and eases depression! Good, because it looks like I need to read to overcome my depression after reading those poll results! I’m currently 100 pages into my 14th book of the year, Awaken by Meg Cabot, so be on the lookout for my review in the near future. In the meantime, enjoy the rest of your weekend!